With the advent of digital TV in the UK, and particularly Freeview, you may think opting for a Sky TV deal has lost a bit of its shine – but actually it’s quite the opposite. When the going gets tough the tough – in this case the pioneers – really get going. Sure, you can get well over 100 channels for free with Freeview, but can you get the best programmes? Many would argue not. For the latest and greatest TV and movies, Sky channels are where it's at. You can get started comparing TV bundle prices right now using the comparison table here, or read on below for more information about Sky TV channels. 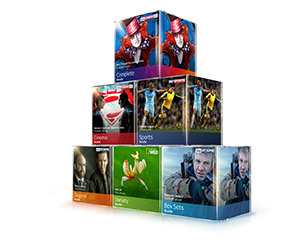 70+ free channels, including access to HD channels: BBC One HD, BBC 2 HD, ITV HD, 4HD and many more. Create your own, personal TV guide with each TV package - choose which shows to record. Touch control - use your tablet/phone as a remote for your EE TV Box. Includes the EE TV App - watch live TV, recordings and replay on the go (compatible with mobile, tablet or laptop). Up to 76MB of Broadband and line rental included. Pause, rewind + record. When downloading the EE TV App, you can also control the EE TV Box through touch control. Includes your own personal guide to record the shows you love. Use touch control as your own personal remote for your EE TV - compatible through mobile or tablet. 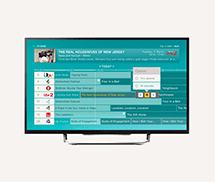 EE TV allows you to create your own personal guide. Save and record the shows you love, without having to search. Synced to your EE TV account, download the EE TV App free of charge onto any compatible laptop, phone or tablet. Save and record your favourite shows, featuring your own personal guide and touch control. What channels are available on Sky TV? Sky TV offers an enormous selection of channels covering all interests, from general entertainment to movies to the very latest TV shows from the rest of the world. Here are just some of the channels you'll find on Sky. 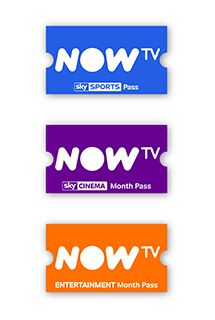 Some are are only available via Sky TV packages or through NOW TV deals. Others are found on other providers where you add premium channels as added extras. Read our reviews below, and check the deals in our comparison table above to buy. If you’re looking for the latest and best TV series from the states, it’s hard to argue for any channel beyond Sky Atlantic. It is, of course, the UK home to television phenomenon Game of Thrones; but more importantly the channel has the exclusive rights to show HBO’s entire programme archive. It can only be watched via a Sky or NOW TV subscription. 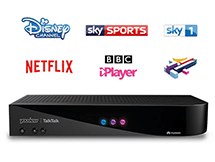 Sky Living is available in various TV packages from all the leading UK TV digital TV services; see our latest comparison tables above for details. It offers a mix of drama, entertainment and reality TV with hits including The Enfield Haunting, Hannibal, Scandal and Elementary. But you’ll also find old favourites such as America’s Next Top Model, CSI and Grey’s anatomy. Available in some form on all subscription platforms as an extra to your standard digital TV deal, Sky Sports offers the best UK coverage of everything from the Premier League football, Formula One motor racing (via its own channel, Sky F1), international Cricket (including England tests), rugby union, tennis and golf. It may not be cheap, but it’s certainly the best. Formerly Sky Movies, this subscription service is again available across TV platforms and again isn’t cheap – but bragging an incredible rate of one premier a day it is hard to argue with its credentials. Whether it’s a new Star Wars film or a whole channel of Disney classics you’re after, you’ll be spoilt for choice with a Sky Cinema deal. Available across all the subscription services the channel offers entertainment from cutting-edge documentaries to cult films and rock concerts; as well as highbrow content such as jazz, opera and coverage of the Cambridge Folk Festival. It’s a great place for music – alongside all the classic channels such as MTV and VH1 of course. 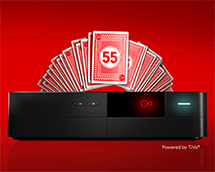 Sky HD: With more than 50 entertainment channels available in HD, you’ll find plenty of ways to get the most from your new tech – including both sport and movies. Sky Go: With Sky’s fantastic app (for Android and Apple devices, as well as a PC, laptop or Xbox) you can also enjoy your favourite shows on the go.